On Tuesday, August 30th, Founder Will Niccolls and Executive Director Kyleen Niccolls loaded the kids in the mini van and headed east over the mountains! Our destination: Lake Roosevelt High School on the Colville Indian Reservation in Coulee Damn, Washington. 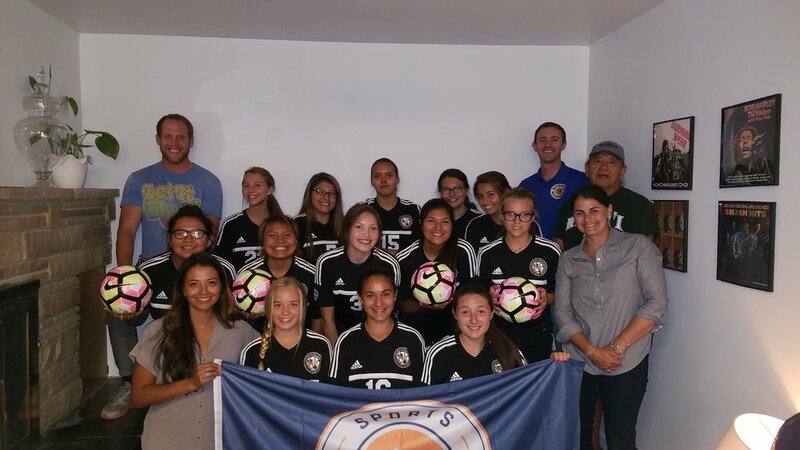 Last Spring, the LRHS School Board approved the creation of girls soccer but was not able to provide any funding for equipment. 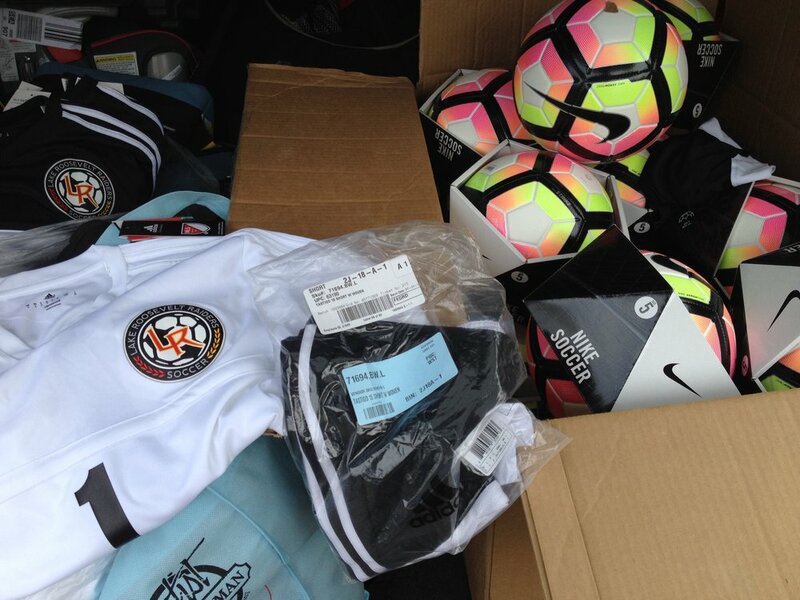 Sports in Schools was honored to provide this amazing group with new uniforms including home and away jerseys, socks, shorts and soccer balls. We delivered the items to the coach's home where we were welcomed by the coach, the Athletic Director, a school board member and the entire team of girls all of which were so excited and grateful for the support of Sports in Schools. For some of these girls, this is the first opportunity they have had to play on a team. This is thanks to YOU, our supporters, who make it possible to keep kids off the sidelines and in the game!